Why Should You Invest In Barcelona? Whether you are looking to establish a completely new business in a new city or looking to move existing headquarters to a new location; there are many good reasons why that place should be Barcelona. In a new video campaign, the many positives of living and working in Barcelona are explored. I encourage you to watch the video above before reading anymore of this article. Of all the busy and prominent Spanish cities, Barcelona is undeniably the most culturally diverse, forward thinking and busiest. This and many other factors are why many of the most successful companies and businesses in the world have either setup or moved their headquarters to the Spanish capital. 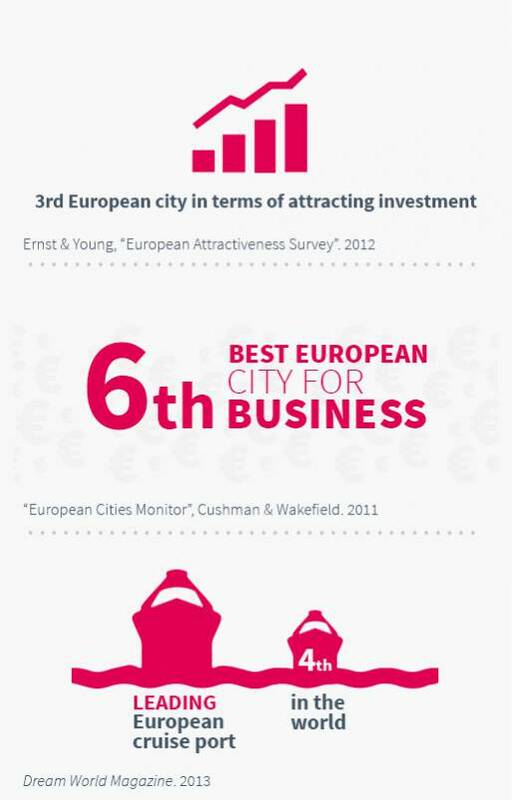 Another reason why it is a popular place for companies to invest in and why you should consider it too is the fact that it has pristine motorways, an ultra-fast rail service and a large international airport – all of which provide links throughout Europe and the rest of the world. In addition to the above, as the video clearly describes, because Barcelona is a city of two halves – the modern and the historical – modern business and investment opportunities such as new technologies and sustainability are thriving industries in the city. These continuous developments show that despite Barcelona having a rich historical tapestry, it is still keeping up with the other modern cities of the world. It’s no wonder that because of this constant development change and renovation that some of Barcelona’s universities are considered to be among some of the best in the world. Doesn’t all of this prove to you, as it has to me that Barcelona is worthy of serious consideration when you are thinking of moving operations or looking for somewhere to establish roots and invest some money sensibly. Remember to watch the video and share it with friends!